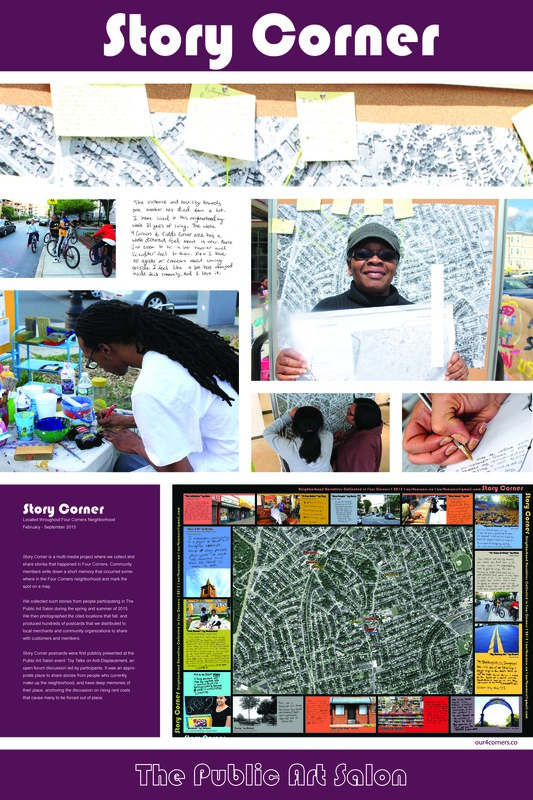 Story Corner is a multi-media project where we collect and share stories that happened in Four Corners. Community members write down a short memory that occurred somewhere in the Four Corners neighborhood and mark the spot on a map. 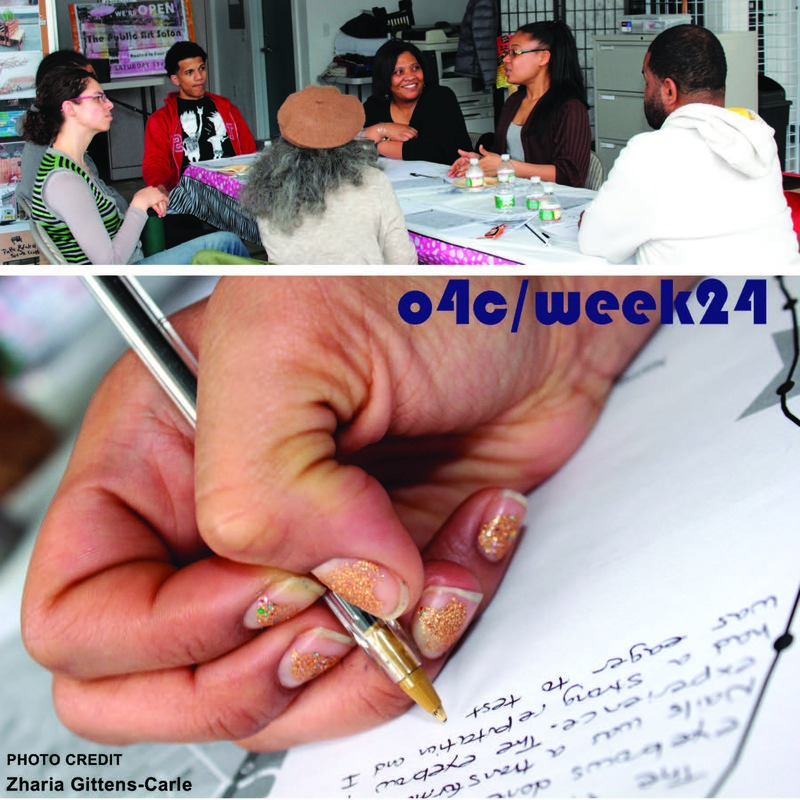 We collected such stories from people participating in The Public Art Salon during the spring and summer of 2015. 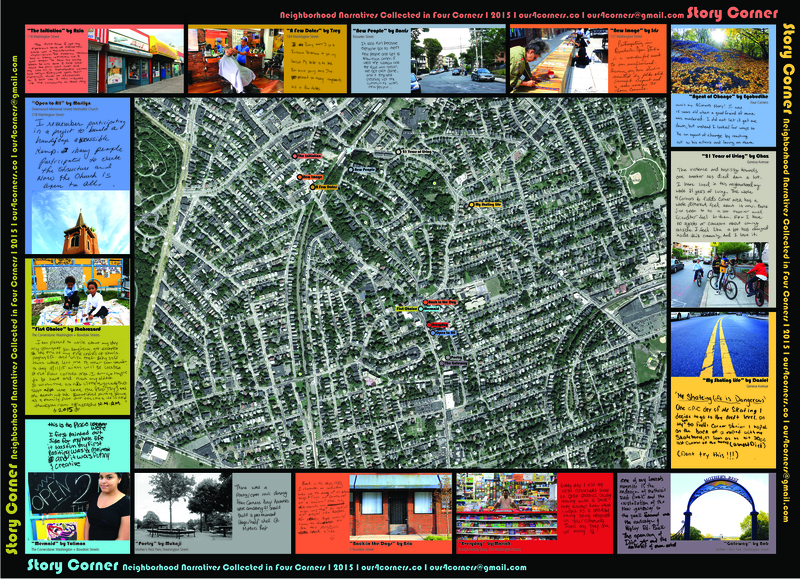 We then photographed the cited locations that fall, and produced hundreds of postcards that we distributed to local merchants and community organizations to share with customers and members. Story Corner postcards were first publicly presented at the Public Art Salon event: Toy Talks on Anti-Displacement, an open-forum discussion led by participants. It was an appropriate place to share stories from people who currently make up the neighborhood, and have deep memories of their place, anchoring the discussion on rising rent costs that cause many to be forced out of place.